Consider me biased, but I am *very* pleased with these results. 2001: A Space Odyssey may very well be my favorite film of all time, so it’s great to see it end up on top against some amazing competition. A little surprised that Ebert’s #1 film, Aguirre, Wrath of God, didn’t get a single vote though. This Week’s Poll: This weekend saw the new Jackie Robinson biopic, 42, finish first at the box office. Harrison Ford is one of the stars of this film, and it got me thinking about his long and prolific career. This week’s poll is a pick two: what is Harrison Ford’s best film? Will this come down to Star Wars vs. Indiana Jones? If so, which ones? Perhaps Blade Runner or The Fugitive can push their way to the top? Let us know what you think! Also, today is my birthday! While I will be busy working through the night, I plan on taking the day off tomorrow to celebrate. My plan? Spend the day at the movies! I will be seeing at least three films tomorrow, with the tentative lineup being Spring Breakers, Trance and The Place Beyond the Pines. If I’m up for it, I might squeeze in either Evil Dead or 42 later. Should be a fun and rewarding day after the madness that has been the last week! Happy birthday Eric! Glad to see 2001 and Apocalypse Now take top spots, though I’m surprised Raging Bull and Tokyo Story didn’t get more votes. I had to go with Raiders and Blade Runner, two great movies right there. Thanks! Yeah, weird that Tokyo Story got shut out. Maybe less people have seen that one? Happy birthday April birthday Buddie! Thanks! When is your b-day? April 13 so ours are pretty close. Oh cool, happy belated birthday to you! My vote for Ford are “Mosquito Coast” and “Raiders of the Last Ark”. This was a tough post. If you do a search of my site I did a post of my top Harrison Ford movies a little over a year ago. I’m a big fan of his, but unfortunately his heyday was the late 70s thru early 90s. Thanks! I haven’t seen Mosquito Coast, though I think I remember you praising it before. I’ll have to keep an eye out for it. Yay, Kubrick’s 2001 rules! I agree with the poll in that, for me, Harrison Ford’s best work was for the most part in 70s and 80s. To me, almost everything post-The Fugitive he did is mediocre. (though haven’t seen 42 or upcoming Ender’s Game yet). Look forward to your thoughts on Pines-loved that movie. You too, have a great week. Thanks! Yeah, agreed on Ford’s work. It was hard for me to find films to include after The Fugitive. Hard to believe that is 20 years old! Went for Blade Runner and The Fugitive. Very close to going for Raiders of the Lost Ark… so close! Thanks, Jaina! Two great picks right there. I always get a kick out of The Fugitive and its Chicago setting. I’m not surprised that ‘2001: A Space Odyssey’ won. Even if I went with ‘Citizen Kane’. 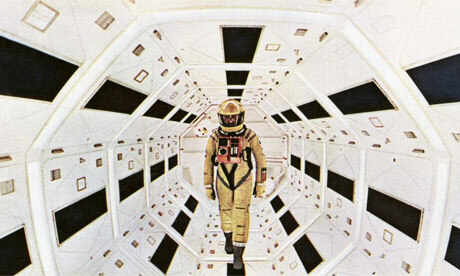 A lot of film techniques, edits and model work that broke ground with ‘Kane’ were used in Kubrick’s epic. I’ll always have a fondness for Citizen Kane, as it was one of the first B&W films that I fell in love with. Even though 2001 is one of my all-time favorites, I couldn’t complain if CK won. 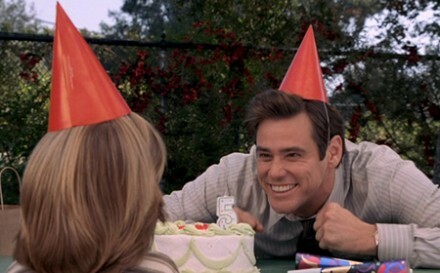 Happy Birthday Eric… that sounds like a great way to celebrate with an awesome day at the megaplex. Blade Runner all the way! Thanks! We made it through three movies then spent the evening at a “beercade.” It was a great day. Would’ve loved to see at least one vote for Tokyo Story, but guess that’s why I should pay closer attention to my WordPress feed! Yeah, I kind of figured every film would receive at least one vote. Thanks for the comment — hope to see you around more often! I had to go with Raiders and Blade Runner. Star Wars is more iconic, but BR is the better performance. And happy birthday! Hope it was a good one. Thanks, Morgan! Glad to see Blade Runner getting so much love in this poll.